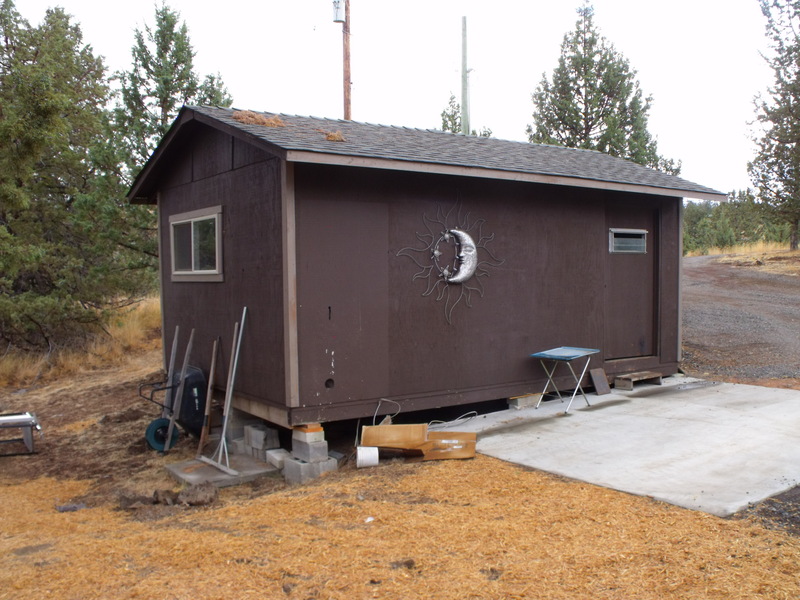 The old shed was built on rocks and blocks. I jacked it up level and stabilized it on blocks. 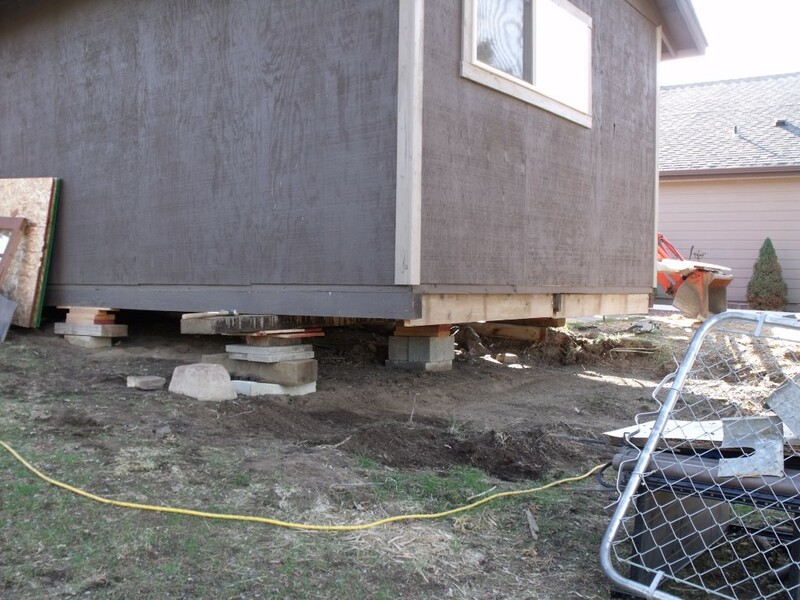 I next inserted a beam and held it up on three points with blocks and shims. 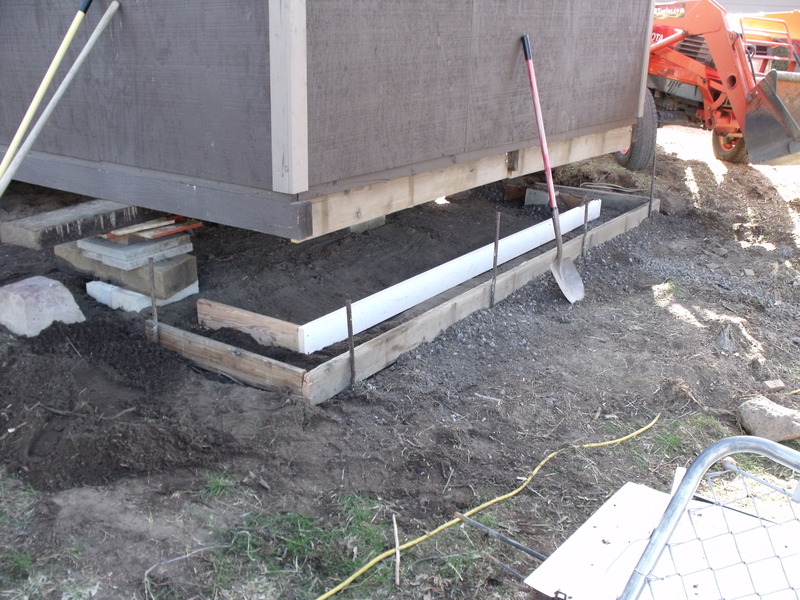 A little excavation, some 2×6 forms and stakes and ready for concrete. 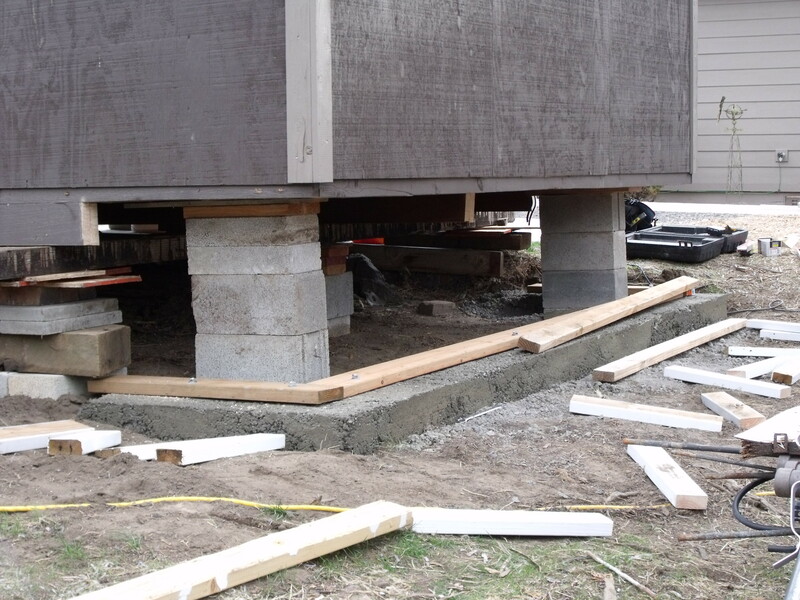 Concrete footer in place and mud sills bolted down. Pony wall constructed and corners sheeted for shear strength. Beam removed and center support installed . 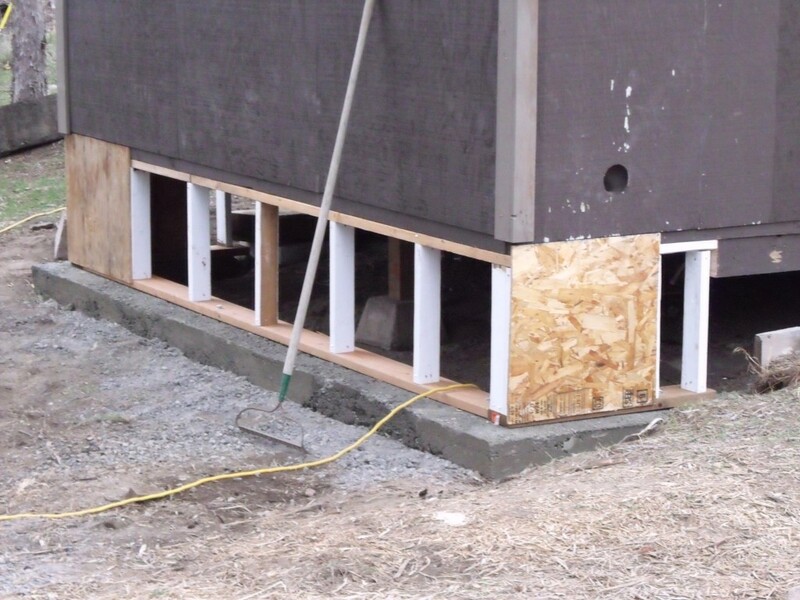 The footer will be continued as the building elevation permits.